Just what is self-storage? Self storage offers both personal and business users a storage solution that they can basically control themselves. More and more people today are finding it hard to manage the space they rent, own or lease and are turning to self-storage as a solution to cluttered personal and business lives. Whether you’re looking to store just a few items, archive your business paperwork or put most of your possessions in a safe place for a few weeks, months or years self storage could be a cost-effective and flexible solution for you. The self-storage space you rent will be self-contained and fully enclosed and can vary in size according to your specific needs – you could be looking at as small a space as a closet through to a unit big enough to store the entire contents of your house or extensive business archives. You can choose to store more or less anything you like (as long as it isn’t perishable, flammable or illegal, in the space size that you choose for as long or as short a time as necessary. At J28 Self-Storage you have unlimited access, free of charge at any time (subject to facility opening times) which not only means that you can easily access what you have stored but that you can take parts of it out of storage and replace it with other items with no hassle, no waiting and no additional cost. 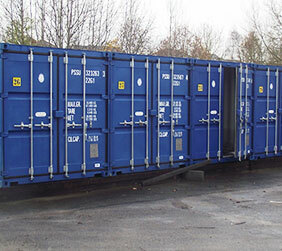 As all the external containers are at ground level you can simply drive up to your self-storage unit and park outside. For the internal units we have a covered, drive in unloading bay with free use of trolleys to make moving in and out easy. You can even quickly increase or decrease the size of storage space you use according to changing needs. We have extensive security measures in place – including state of the art colour CCTV, electronic access, monitored fire and intruder alarm systems plus perimeter fencing. The storage unit you hire can only be accessed by yourself, although you can nominate further key holders if you wish. 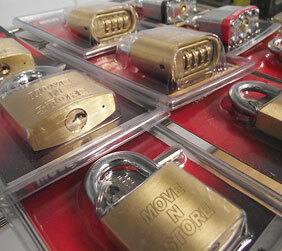 Padlocks for containers must be purchased in store for security reasons. 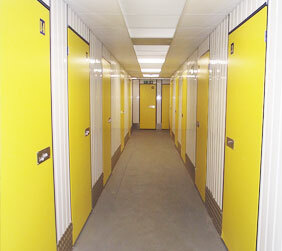 At J28 Self Storage in Cullompton you can rest assured of great service, security, and flexibility. It’s your goods, your padlock, your key and your exclusive access.